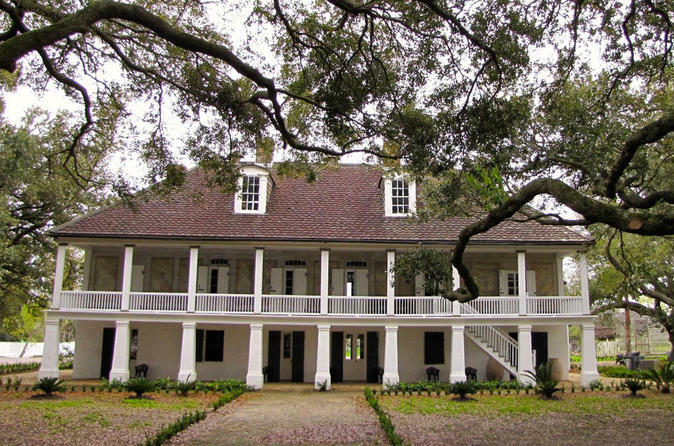 Visit the Whitney Plantation of New Orleans and step back in time as you explore the 18th-century plantation museum, the only one of its kind in Louisiana. On this 5-hour guided tour you’ll see museum exhibits, memorial artwork, and restored buildings. Learn about an important part of American history as recorded from first-person slave narratives. Meet your guide at the designated meeting point in New Orleans and journey to the historic Whitney Plantation, one of the antebellum estates located along the Mississippi River. You'll cross the Bonnet Carre Spillway, a flood outlet for the river, and see a panoramic view of Lake Pontchartrain on your way to the plantation. Pass by the Evergreen, Felicity and St. Joseph plantations, where rich crops of sugar cane, cotton, and indigo from these fertile lands once traveled to various ports of trade. Arrive at the Whitney Plantation, which dates back more than 260 years and is now a working museum dedicated to the understanding of slavery in the American South. With your guide, visit museum exhibits and restored buildings including historical slave cabins, some of which remain from the original 22 on-site. See the Big House, which is one of the finest surviving examples of Spanish Creole architecture in Louisiana, and learn about the daily life of former slaves at Whitney as recorded by the Federal Writers' Project. At the end of your 5-hour tour, you're returned to central New Orleans.